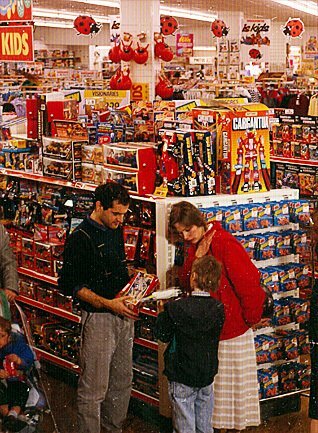 After the British Woolworth changed hands in 1982, the toy department was earmarked for a major overhaul. The range was transformed, enhancing product quality, adding style and introducing items that would stretch young minds, thanks to their educational value. To mark the change the Company revived a much-loved toy marque. It brought Chad Valley toys into everyone's price range, while retaining a reputation for good design and outstanding quality. Today Chad Valley is a brand of Argos, part of J. Sainsbury plc. Ladybird is now a brand of Shop Direct Group Ltd, which also owns the Woolworths brand name. This page relates to the period 1985 to 2008 when both were operated by the Woolworths High Street retail chain. In the mid 1980s the new owners of Woolworths launched an ambitious modernisation programme called Operation Focus. Instead of being a jack of all trades this aimed to establish six specialist areas with strong market shares, transforming the chain into a specialist retailer. One of these specialities was "Kids". The goal was to improve and enlarge the range of Toys and Children's Clothing. Building on the success he had enjoyed with the Ladybird brand, Commercial Director Mike Sommers went a step further, buying the Chad Valley brand name outright. He established plans to create a unique toy brand and use this to reposition upmarket, through better manufacturing quality, learning and development credentials and improved product design. While the Ladybird brand wholly replaced the previous unbranded range of clothing (which did not even feature the company name, just the address of the Marylebone Office), Chad Valley initially accounted for only a limited toy offer. 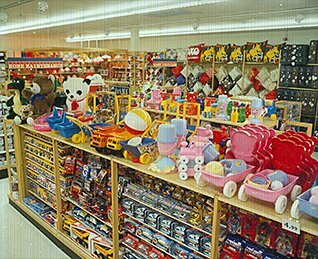 The name was initially reserved for pre-school toys, which were offered alongside regular items from Fisher Price, Tomy and Matchbox, and boxed games, to complement Milton Bradley, Kenner Parker and Mattel lines. The first items appeared on the shelves in the Autumn of 1987. Well-made building blocks and activity toys proved particularly popular both with the public and with educationalists, and won a series of prestigious design awards. There was also an excellent range of jigsaw puzzles, which featured idyllic rural views from around the British Isles. There was a conscious effort to ensure that the new products met or exceeded the quality standards of equivalents from the leading suppliers. In a further phase of development a new selection soft toys was introduced under the Chad Valley name. Chad Valley was a hit, particularly for the under-fives. It quickly became a core part of the offer. The stores stocked the best of both worlds, with the latest supplier-branded lines nestling alongside the new exclusives. 1988 marked the end of a modernisation programme which brought a makeover to every store. 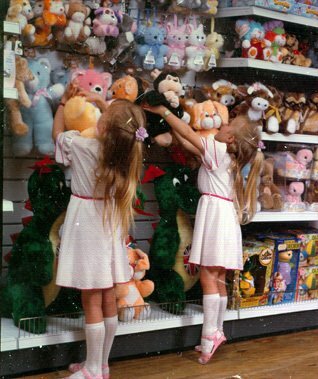 All had an acclaimed Kids area incorporating substantial ranges of Ladybird Clothes and Chad Valley toys. The public rewarded the investment with number one status as the market leader for Toys, with a 21% share, slightly ahead of Argos, and the top-slot for Babywear, outpacing Marks and Spencer. When Directors first received the updated market-share data, endorsing their strategy, they celebrated by commissioning signage to appear in every store boasting "Woolworths is Kids". One commentator noted "Woolworths are not very good at grammar"! The public had endorsed the Focus Strategy. Chad Valley and Ladybird, which had once been the reserve of the most affluent families, had won over the mass-market. This had been achieved not by reducing quality, but by embracing new manufacturing techniques and following Frank Woolworth's adage from his first store in 1879, selling more for less. It is worth noting that market leadership for Toys ranges had been achieved alongside similar success in five other product categories, and with only an average of 10% of the chain's total selling space. 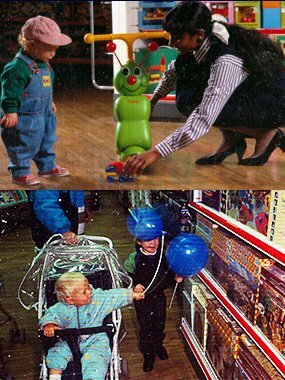 The new store layouts were consciously child and parent-friendly. Counter heights had been limited to five feet (1.7m) to keep everything in reach, and strict rules had made gangways wide and free from clutter. These standards had kept the floors clean and shiny enough to sit and play on. The enhanced environment attracted shoppers with more to spend. For the first time the stores offered presents for up to £100 each, as well as treats and gifts to take to parties. Great care was taken to retain a reputation for low prices. 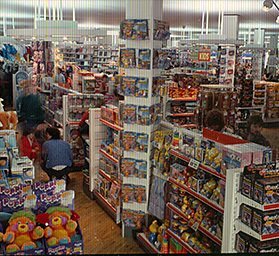 Woolworths pioneered half-price toy sales each Spring and Autumn, and carried a broad selection of pocket-money toys at prices under £1 at all times.